You can download your chat history for the next 6 months at this download request site https://messenger.yahoo.com/getmydata . Your chats will be emailed to you. If you have anything you want to save from Yahoo Messenger, it's a good idea to get a copy, because users will be unable to sign into the service after July 17th. It's not the first long-standing chat app to shut down -- AOL Instant Messenger shut down December 15th of last year. But Yahoo Messenger was one of the few old-school messaging services left. 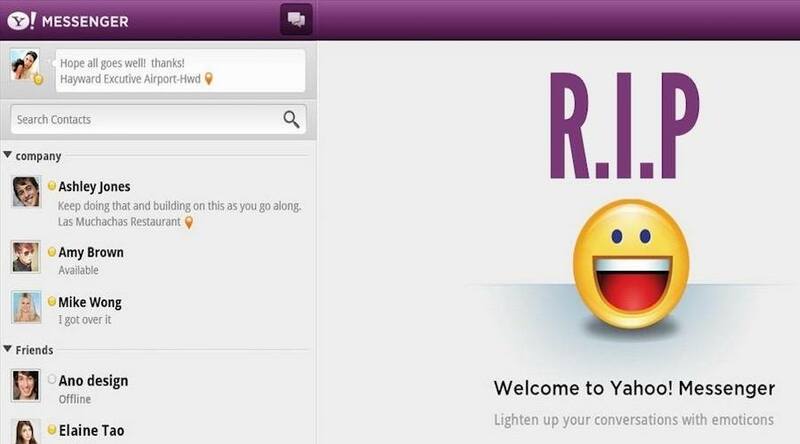 "We know we have many loyal fans who have used Yahoo Messenger since its beginning as one of the first chat apps of its kind," the company said in an FAQ. "As the communications landscape continues to change over, we're focusing on building and introducing new, exciting communications tools that better fit consumer needs."